Iceland is one of the most incredible destinations. 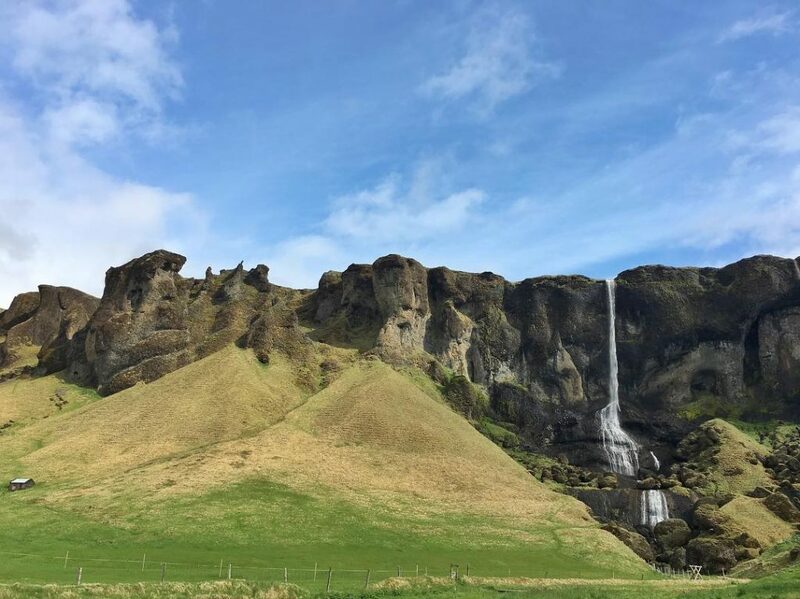 Between roaring waterfalls, black sand beaches, lava fields and adorable puffins, Iceland feels like another planet…sort of like the Land Before Time but IRL. 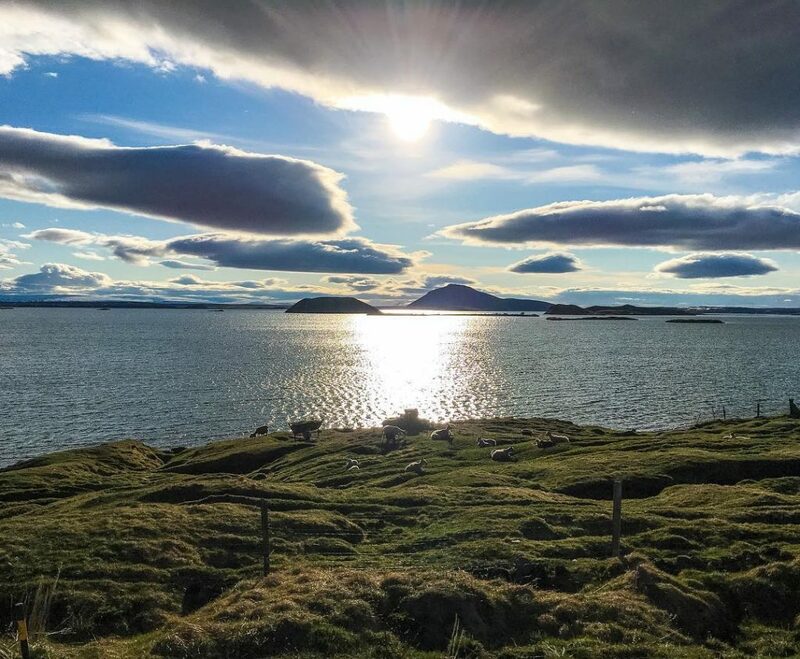 Whether you come to chase the northern lights and bask in the midnight sun, you are guaranteed to fall in love with the Icelandic landscape. That said, Iceland is a rather challenging trip to plan and it requires a good amount of research. 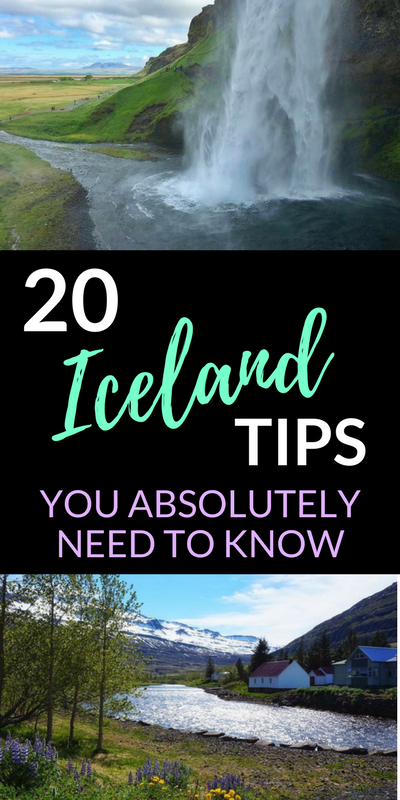 Here are the 20 Iceland tips I wish I knew before going to Iceland. Pretty much everything in Iceland is more expensive than what you’re used to at home: gas, food, accommodation, activities, and most of all booze…make sure that you pack everything you need or a simple pair of globe in Reykavick will set you back $30. 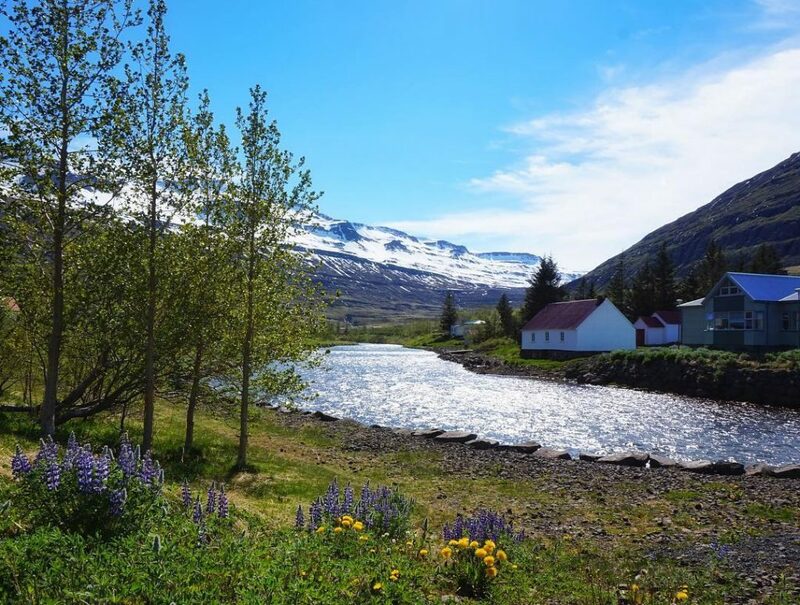 The good news is: although there are dozens of amazing day tours and activities to try in Iceland, the landscape is just as incredible and enjoying nature is FREE. Pro tips: If you plan on drinking, buy a few bottles duty free at the airport. Make sure you go grocery shopping in Reykavick to get everything you need, especially if you are driving along the Ring Road. If you have room in your luggage, pack a few granola bars and non perishable food. Iceland is almost like another planet. You will literally want to stop the car every 2 minutes to take pictures. however, you will realize pretty quickly that no picture can really do justice to this unique and vast landscape. Don’t forget to put down your camera once in a while to enjoy the gorgeous views and take it all in. Icelandic people take this rule VERY seriously. You are expected to take an actual shower without your swimsuit on before entering hot springs, pools and saunas. The Blue Lagoon and most touristy places have private shower stalls. Yes, there are bathroom attendants whose main responsibility is to make sure people follow the rules. At least you can be sure the pools are clean! Trust me, the last thing you want is a broken car in the middle of nowhere and no service to call a tow truck. Plan your rental car ahead of time: the longer in advance, the cheaper your car rental will be – don’t count on last minute deals in Iceland especially in high season. When choosing your rental car, make sure to select a reliable vehicle from a reputable rental company. Technically if you are driving in the summer and you’re sticking to the Ring Road, you do not NEED a car with all wheel drive. However, we’d highly recommend getting one anyways just in case you get caught up in some bad weather along the way. If you are driving in the winter make sure you pick a car with good snow tires. There is an old tradition in Iceland of creating stone cairns to show the way to people traveling in Iceland. Tourists often think that it is fun to make their own stone piles but it is very harmful to nature. It could also stir people the wrong way when hiking in bad weather. Just don’t disturb existing stones piles or try to create your own. Iceland moss is extremely fragile and can be easily damaged, sometimes irreparably. Damage caused by footprints and tire marks can take an extremely long time to heal. No matter how cool it would look on your Insta, stay away from the moss on the lava fields. Believe me, I get it… everything in Iceland is worth photographing. 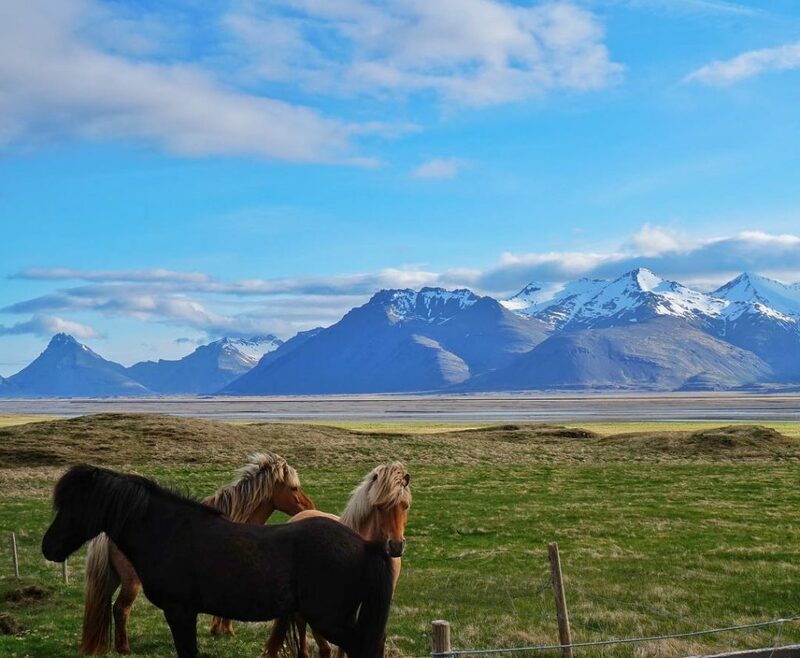 Iceland is gorgeous so you may be tempted to stop and pull over at almost at every turn. Remember to only stop in designated areas and not park your car for pictures at random spots on the side of the road. It is dangerous and you may be fined. As Icelandic people say, if you don’t like the weather in Iceland, just wait 5 minutes. This statement couldn’t be more accurate. When you are traveling in Iceland, make sure you pack a few different jackets – one day you might be hiking in a tee shirt and two hours later you are wearing an insulated winter parka. Make sure you check their government weather website called Vedur before heading out on a hike. Always dress in layers and pack your rain gear and your swimsuit! 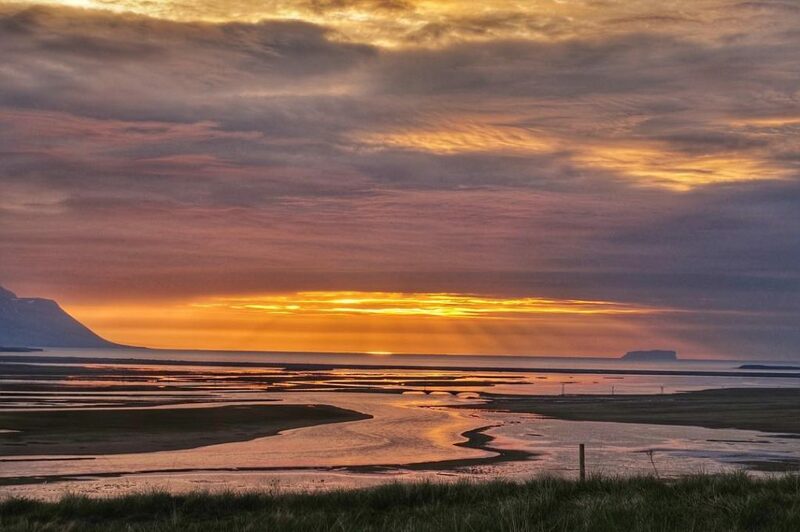 You should never completely write off the day in Iceland, as proven by the picture below. An hour before this photo was taken the sky was shrouded with clouds (as I was complaining in the background that we wouldn’t get any sunset that night). As you can see, I couldn’t have been more wrong! Tap water in Iceland sometimes has a distinctive smell of rotten eggs, especially when it’s hot. Naturally the first question we asked ourselves is whether the water was safe to drink. The answer is yes – despite its odd smell (which usually goes away after running the tap for a few seconds), the Icelandic tap water is perfectly safe to drink. Better even, it is one of the clearest and most pristine water in the world. Some Icelandic do believe in the existence of elves or hidden people. This belief is much more than folklore to Icelandic people and as visitors we should respect it and avoid being insensitive. Who knows you might even come across an elf while chasing a waterfall! We got burnt on that one…we were exploring until late in the Golden Circle since it doesn’t get dark until midnight or later in summer. We tried to look for a place to eat at 9pm and literally everything was closed! We called our B&B owner who was ready to close the front desk and go to bed assuming we weren’t going to show up. Moral of the story is that as soon as you step out of the city, you need to plan ahead if you need to grab groceries or dinner out. Always call your hotel/B&B if you are going to arrive past 8pm to make sure they expect you. One of the Iceland tips you really need to know since it’s so easy to forget. The only stores that are allowed to sell alcohol in Iceland are government owned alcohol stores called Vínbúðin. The easiest store to get to in Reykjavik city center is the store on Austurstræti 10a – keep in mind it closes at 6pm everyday and is closed on Sunday. You won’t find anything stronger than 2.25% in supermarkets so if you are planning on boozing, make sure you stock up in Reykjavik or duty free at the airport. One of the Iceland tips we really wish we knew! Picky eaters road tripping along the Ring Road might find it hard to find a dish they like. 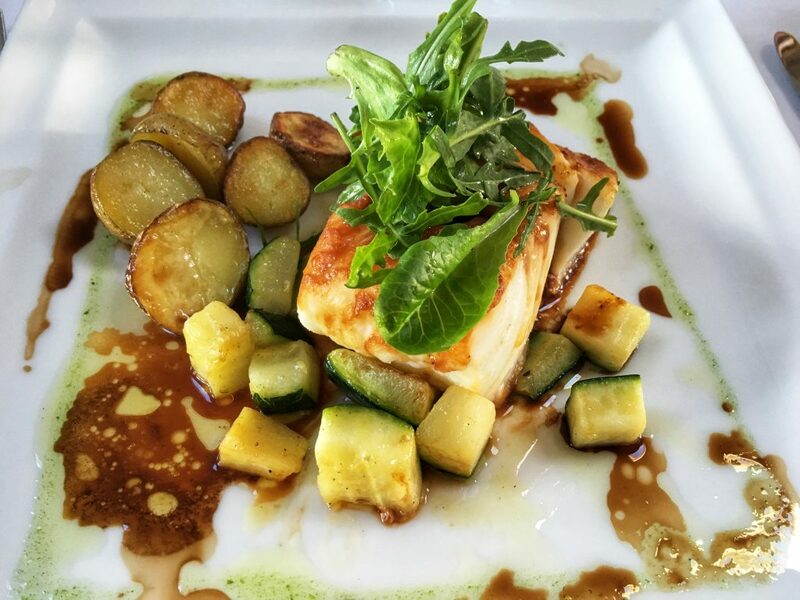 Most of the time, you have a choice between lamb or arctic char at small restaurants and B&Bs in the countryside. Some will offer a vegetarian option but not all. I enjoyed both options a lot so I didn’t have any issues but make sure you pack enough snacks if you’re not into it. Credit cards are accepted virtually everywhere in Iceland so there really is no need to exchange a bunch of cash which can be very confusing. Just know your credit card pin before leaving your home country since some places may ask you to enter it. Yes, the Blue Lagoon is crowded and very touristy. If you come during high season you will need to purchase tickets ahead of time as entire days sometimes book up in advance. Is it still worth visiting? 100%! The Blue Lagoon is a one of a kind experience and is worth going once. Most people go either at the beginning of their trip right when they get out of the airport, or in the end on their way back from the airport. I strongly recommend going in the beginning! It takes a long hot shower to really feel clean after soaking in the blue lagoon water which is full of minerals and leaves sort of a residue on your skin and hair. Make sure to go to the lagoon early in the morning, and bring your own towel! Google maps can sometimes be pretty unreliable in Iceland. After all, as you start driving along the Ring Road you will cross a lot of deserted areas where service can be really spotty. We had a portable internet device in our car but we were glad we had a detailed paper map. 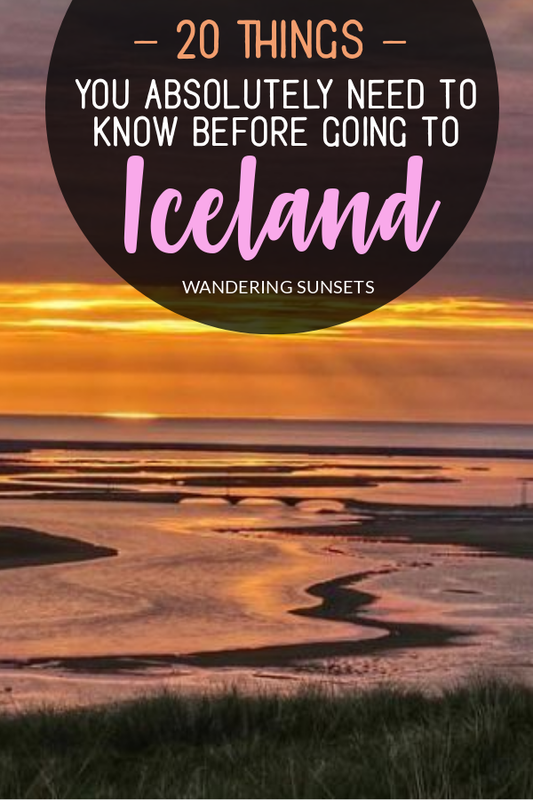 One of the most useful Iceland tips if you don’t want to end up lost! 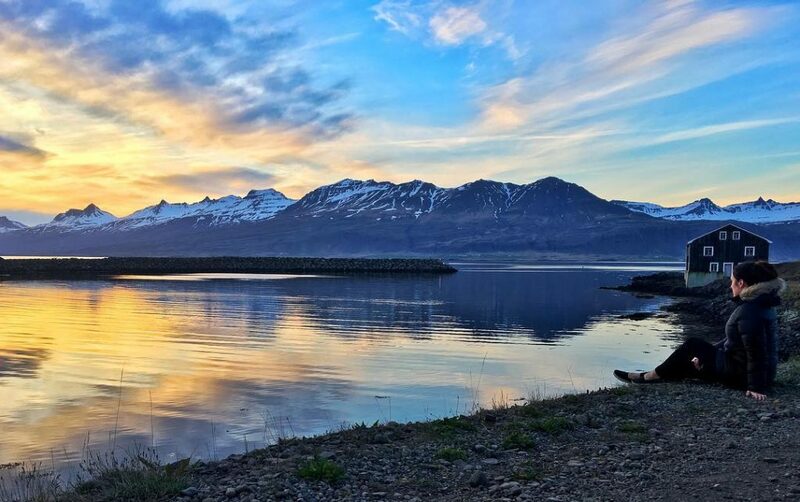 If you are visiting during spring or summer, the days in Iceland will be extremely long. You might spend a good portion of your day on the road without access to a plug so make sure you pack some back up camera batteries and keep them charged! Trust me you will take so many pictures you will need them. 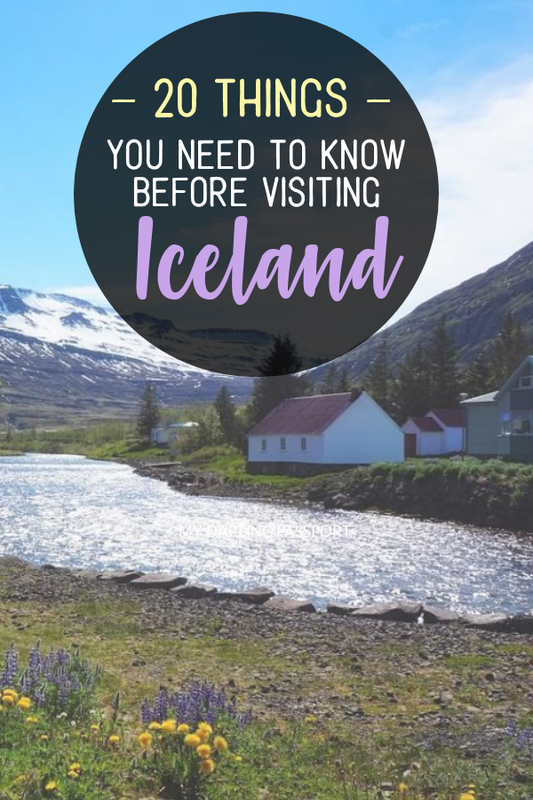 Iceland is not the destination to just land there and “wing it” especially if you are planning on road tripping along the Ring Road (which we strongly recommend!). Any activity will most likely need to be booked in advance especially during summer, and same with accommodation if you are not camping. I know it sounds like I am contradicting myself here! But give yourself some flexibility. You may arrive at a gorgeous waterfall during a rain storm and decide to wait it out. You may come across a secret hike and spend a couple hours exploring backroads. 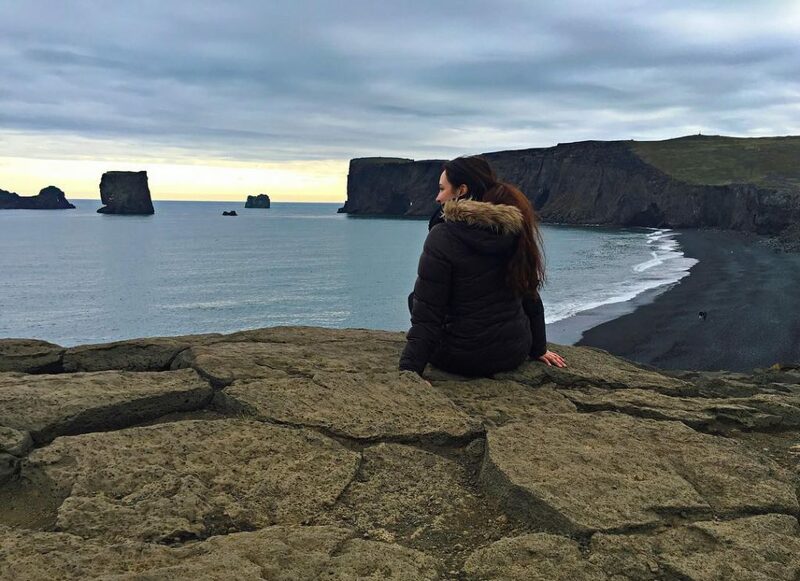 One of the best Iceland tips I can give you! Take it all in and get ready to plan another trip when you take off. Totally agree with most of these 🙂 I love Iceland so much! 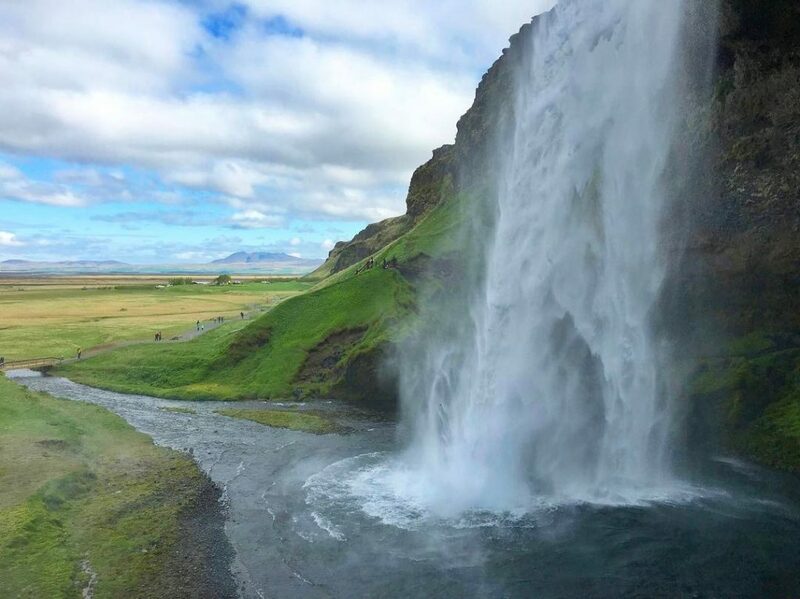 Iceland has been on the top of our bucket list for YEARS. We are really hoping 2018 is the year we finally get there. These are all so legit! 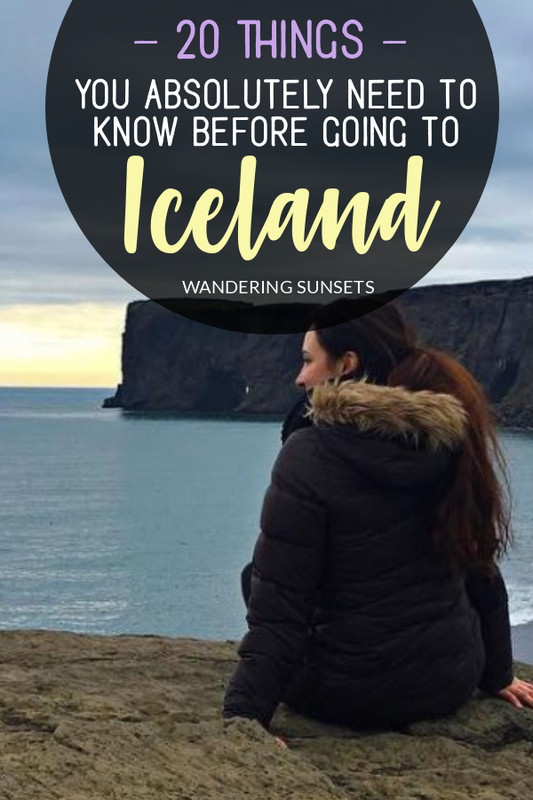 Such great tips for Iceland! Thanks for sharing! I can see why people struggle to put their camera down, it is GORGEOUS! Those are some practical tips.. loved those pictures. makes me want to go! These are some really great & useful tips! I’m definitely saving this for when I make it to Iceland! Great tips! I wish I had read these before I went there! We had to learn so much through trial and error. Going there next weekend! Can’t wait! Oh, wow! Stunning photos! I’m so desperate to see Iceland – feel like I see posts about it everywhere. Thanks for sharing and sending my wanderlust into overdrive! Great tips! With some many designated spots to pull over, there’s really no need to stop in the middle of the road … yet we saw so many doing it. I love the tip about not getting caught up taking pictures…never as beautiful as it is in person! Agree with all of them… except for number 15 😀 But I guess that one really does divide people between those who are all for the BL and those who’d rather skip it. I skipped it, and I don’t regret, but that’s just me. 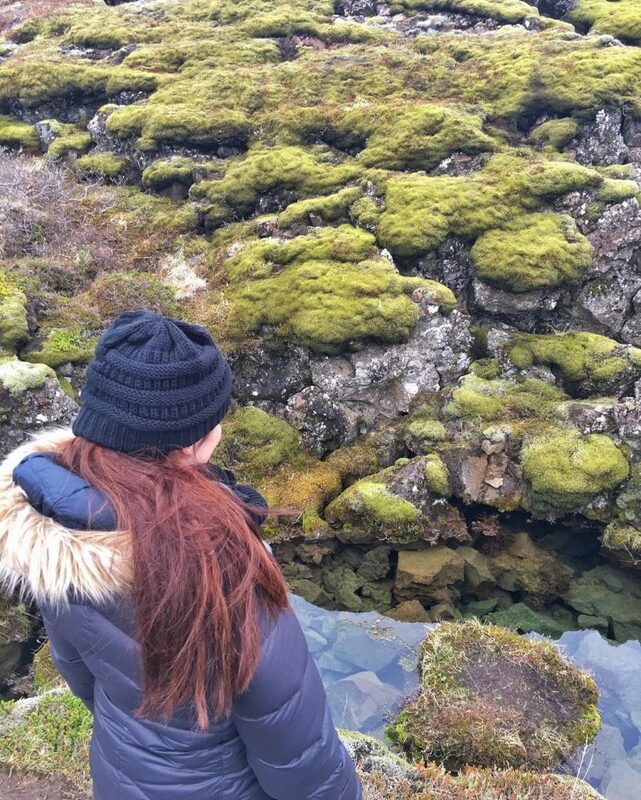 I wanted to prioritize other things in Iceland. Thus said, I agree with all the rest!! Iceland looks incredible and I am DYING to go! 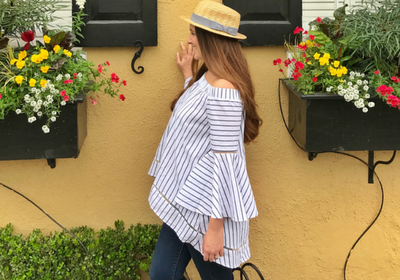 Thanks for these tips, they are super helpful and good to know for when I (finally) start planning my own trip!